📅 February 2019 April 3, 2019 by Bruno B. Choosing the best time to visit the Azores is much more than just looking at the good weather. Eventually, it all comes down on your interests and which activities are you most willing to experience in the islands. I’m breaking down some factors to find out what is your best time of the year to visit the Azores islands. But first, if you’re looking for some short answers, here you go. What is the best month to visit the Azores? If you want to maximize the change of good weather, the best months to visit Azores are from May to October. You should consider other factors though, for instance crowds: July and August months are the peak tourist season. Should I visit Azores in winter? November to February sees the highest rainfall and lower temperatures, but with an ever-changing weather, anything can happen. 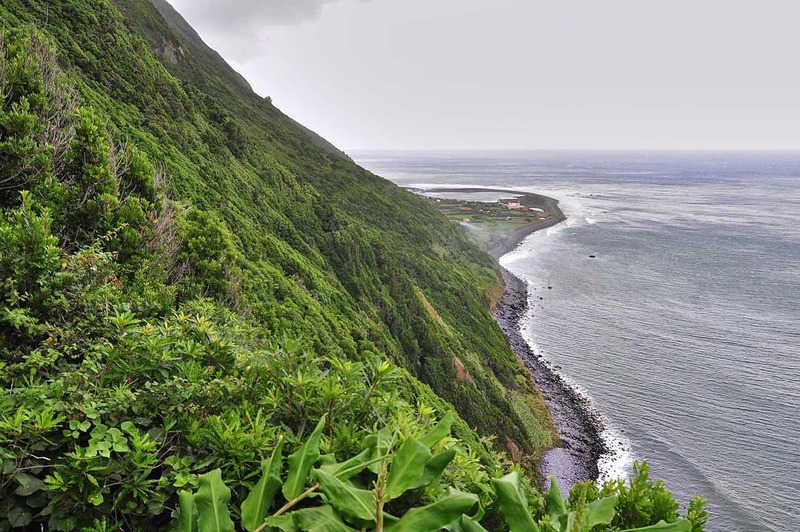 A winter trip to Azores can still be beautiful, with landscapes wilder and rougher than ever. Also the perfect weather to relax in thermal springs. When can you see whales in Azores? The whale-watching season runs from April to September, with April and May being the peak months where most whales species can be found roaming the Azorean waters. More info on the whale-watching section. For any nature-heavy trip, weather takes a huge part on the overall experience for travelers. As much as cinematic it can be, no one really enjoys to be out in the wild with heavy showers. Different seasons bring different highlights to the islands and shape the type of trip you can have. Overall, the best time of the year to visit the Azores is between April to October, but let’s go in more detail. I am pretty sure the weather in Azores is bipolar. Summer time, running from June to September offers high air and sea temperatures and is the best time to go if you’re looking to spend some time on the unique Azores beaches. These are usually the months with more sunny days, giving you access to a wide range of outdoor activities, like hiking, surfing or paragliding. March, April, May, and October are months in the shoulder season, where the unstability of Azorean weather is even more evident. Trust no weather forecasts. A typical day during this time would involve almost-clear sunny skies alternated with periods of grey clouds and (usually light) showers. Finally, November to March corresponds to winter time and to the peak of rainy season in Azores. Even though temperatures don’t reach freezing levels, this is not a good time to travel if you want to avoid getting wet at all costs. That said, cold weather is perfect to relax in the outdoor thermal springs. You can find more details on the Azores climate page. Flights, inter-island ferries, and even tours and boat trips are highly dependent on weather conditions and are much more frequent in the warmer months. 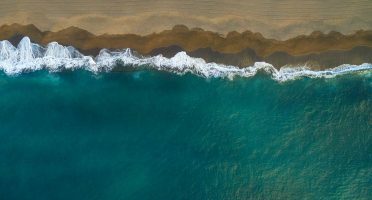 In summary, it is still not yet exactly easy or cheap to get around the islands of Azores here are significant differences in transportation between summer and winter months. If you want to maximize your mobility in Azores, you’ll want to avoid the latter. Almost all inter-island ferries run exclusively by Atlantico Line are shut down outside the June-September period. In São Miguel, the private boat that runs to Vila Franca islet starts running on early June. From November to February you can expect significanly less flights to and from Azores. Plus, the regional airline SATA/Azores Airlines significantly reduces the frequency of inter-island flights. Flights can get cancelled/postponed due to storms and foggy weather especially during the December and January months. The Azores still don’t feel as crowded as other destinations in Europe. That said, during peak summer months, it’s starting to become impossible to park next to some major highlights or getting a reservation at the best local restaurants. If you are looking for the fewer amount of people possible, avoid the months of July and August. By avoiding the peak summer months of July and August, you also avoid the inflated prices in accommodation, flights and services like car rental. Like most places in Europe, winter months are significantly (at least 30-40%) cheaper. There are not many hotels in Azores… Book your hotel ASAP for the best deal! I’ve made your life easier and you can start your search with my pre-selection of the hotels/guesthouses/villas in the Azores. 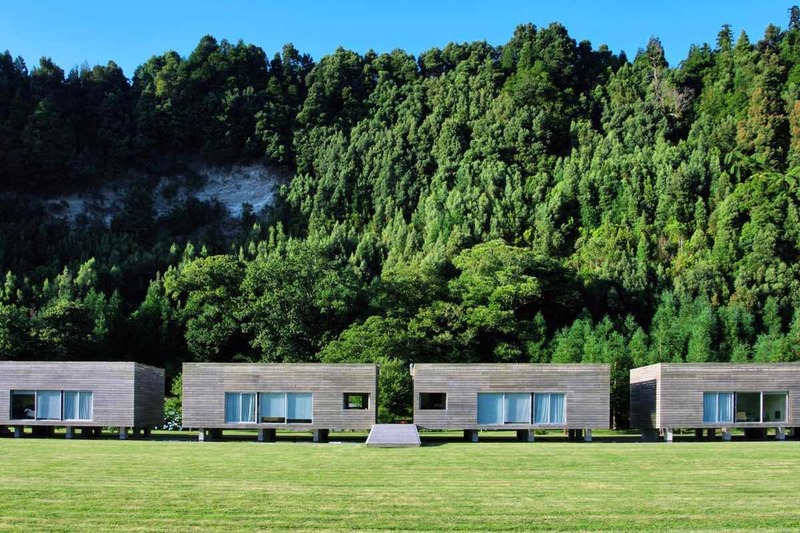 This list only includes the top-rated reviewed hotels in the islands, with WiFi included. Hard to go wrong with these! If you are into capturing the islands’ essence through a lens, spring season might be the ideal time for you. From March to June flowers like hydrangeas, agapanthus and ginger lilies are in full bloom, adding some extra vibrant colors to your pictures. For drone pilots, May to September is the best time to fly your drone, but keep in mind weather changes FAST in any time of the year. Careful with winds picking up and rain appearing from nowhere rather quickly. The Azores are a top-notch whale-watching hotspot in the world. Up to 30% of ALL known cetacean species can be seen in a single three-hour trip. These species are spotted by lookouts on the coast, who use powerful binoculars and guide the boats to spot the location of the dolphins and whales, ensuring a higher probability of sights for the tour operators. If whale-watching activities are on your bucket list – they should! -, it’s worth to know that April to June is the time of the year with more species swimming in azorean waters. It’s when the migratory routes of cetaceans overlap the most. Follow this calendar to plan your trip accordingly. 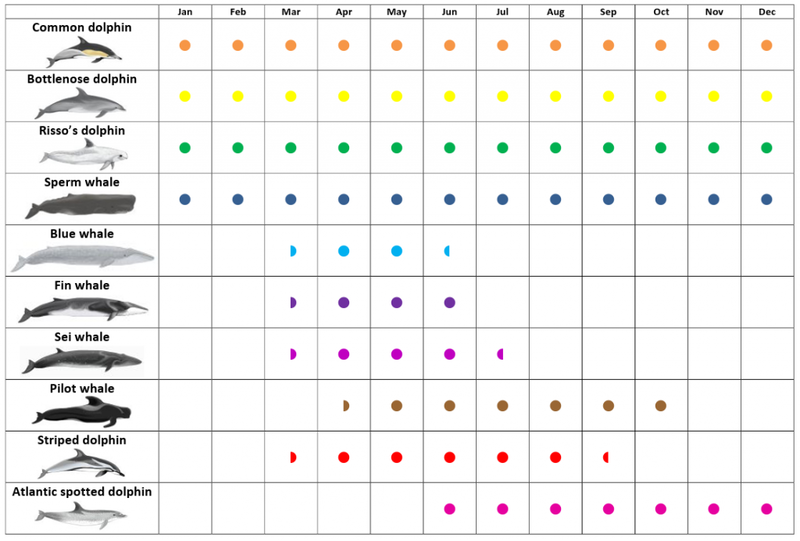 Note some of the species have a sighting period of only a couple of months – e.g. the almighty blue whale. The overwhelming majority of events in Azorestake place during spring or summer months, but more and more other events are being created to populate the event calendar of Azores. These are some of the major events in Azores. 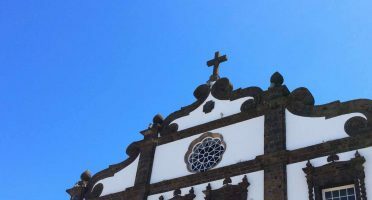 The biggest festivities in the archipelago – Santo Cristo Festivities – happen in Ponta Delgada. These is mostly a religious party, but don’t miss the stunning facade illuminations and the many open-air concerts and markets throughout the city. Every year thousands of immigrants in the US and Canada return to the island of São Miguel to participate in the celebrations in honour of Christ. Santo Cristo happens somewhere in April or May (2019 dates: 24th – 30th May). Cliff diving competition from Vila Franca do Campo islet in São Miguel. In 2019, it happens in June. Tourada a Corda is a unique event where bulls with a single giant rope attached chase people in the streets. Not surprisingly, a few people get injured every year. Daily from May to September. Maré de Agosto (August Tide) Festival in Praia Formosa, in the island of Santa Maria, joins several international musicians and artists. It’s probably the most charismatic music festivals in Azores. Takes place every year in August. This street art festival features worldwide renowned sculptors, designers and video directors to perform cutting-edge festival of public performance and visual arts. Taking place over two weeks in July. Still need help deciding when to travel to Azores? The ideal time of the year to go to the Azores is a trade-off of several factors. Take a moment to realize what is most important for you to accomplish in the islands. The chart below might help put everything in perspective. 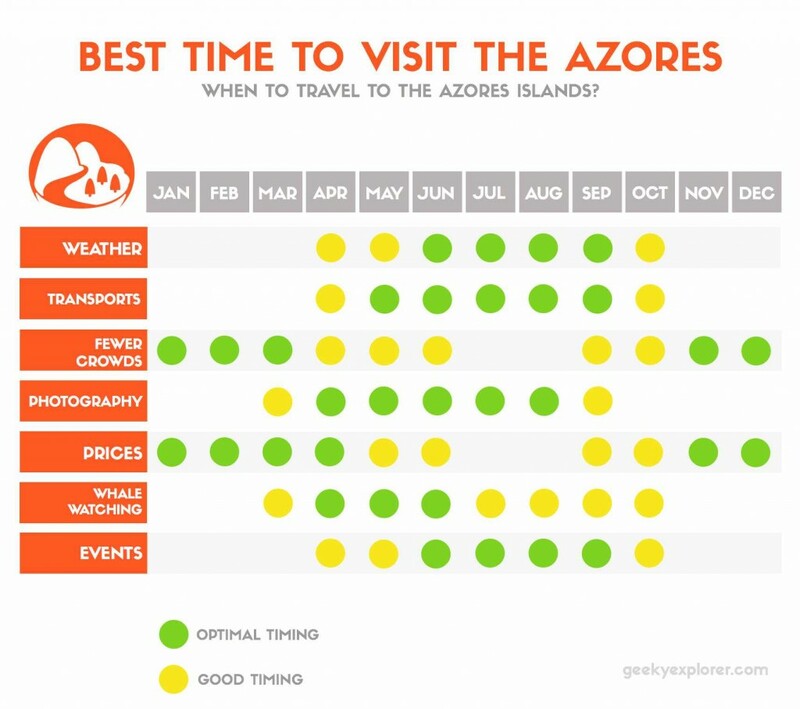 Good and optimal times of some criteria to visit the Azores. Now, my two cents. After living in the Azores during many years, my favorite month in the islands eventually became September. Great warm weather (somehow more stable than July and August), fewer people on the beaches, still a lots of things happening. However, this is from a local’s perspective. If I put myself in the shoes of a visitor, I’d probably take other factors in, such whale-watching and inter-island ferries. Adding this criterion to the mix and compromising with other equally important (weather, transports, events), June is also a great option. I always recommend you plan your trip to Azores independently. No guides, no tours, no agencies. A place like Azores is an adventure and should be explored as such. As a rule of thumb, flights to Azores are considerably cheaper from Porto, Lisbon or London. Ponta Delgada airport has the highest number of flight connections. Check this page for more info. Book your flight through Skyscanner or Kiwi to compare the best prices. 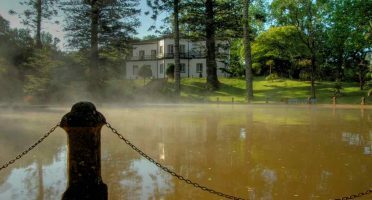 For hotels, you can start off with this pre-filtered list of hotels, guesthouses and villas in Azores. Only places with parking, free WiFi, and top reviews on this list! If you still prefer to have everything dealt through an agency, Azores Getaways is a good option. 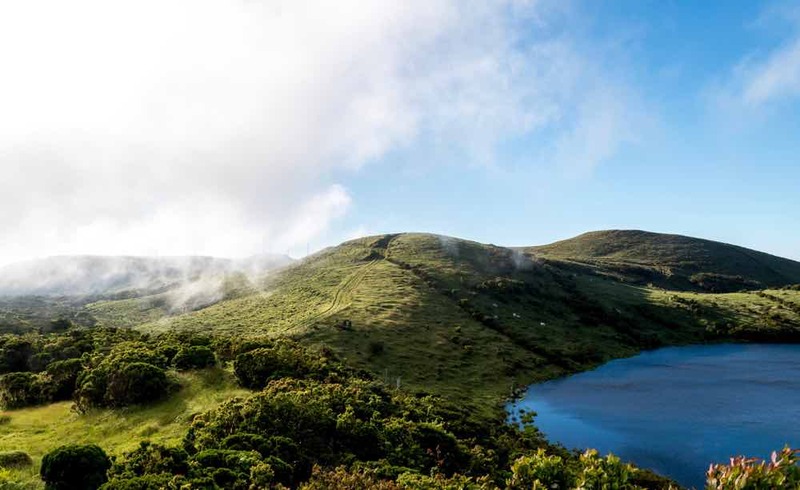 Despite not being a fan of travel agencies, I really think they have some pretty good prices for a flight + hotel + transfers packages to the Azores – starting at 599USD! 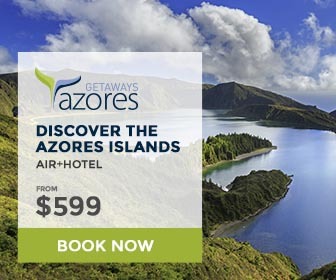 I particularly recommend using Azores Getaways if you are flying from the United States or Canada and don’t have much time to plan your holidays. Start planning your holidays here!